Cold Water | Just Shooting Memories! In honor of the negative digit wind chills today, I am posting this photo from my December trek to the top of Blood Mountain. This shot was along the creek that follows the Byron Reece trail. 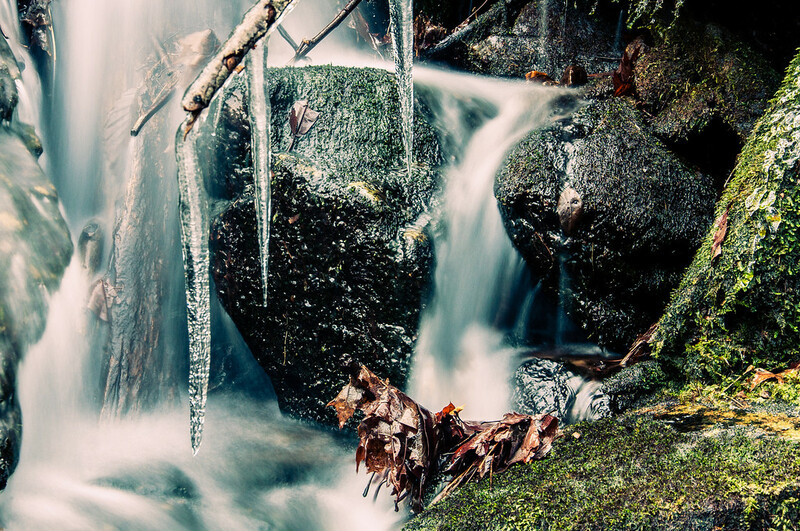 I found a spot where there were a few icicles and the water was just right. I’m glad I did not have to ford this creek, as it was really cold just taking photos beside it.